Jack Bates writes from the comfort of his loft office. 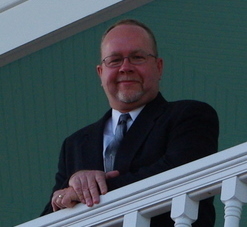 In the spring of 2011, his crime fiction short, BROKEN DOWN ON THE BONNEVILLE FLATS, was nominated for a Derringer Award by the Short Mystery Fiction Society. He pens the Harry Landers, PI, series for Mind Wings Audio Books. 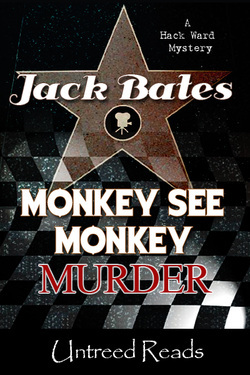 He's also released several ebooks with Untreed Reads which launched the Hack Ward PI series with MONKEY SEE, MONKEY MURDER. 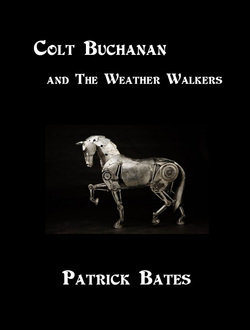 In 2012, his YA Steampunk novel, COLT BUCHANAN AND THE WEATHER WALKERS, was released by Red Willow Press. Hack Ward thought he had found a niche market for his skills as a private investigator when Hollywood came to Detroit. When washed up director Will Peyton gets pegged to direct a low-brow family comedy starring a chimp and a perpetual bad-girl pop star, Hack gets brought in by Peyton to keep an eye on starlet Haley Goslin. It’s not because Peyton is concerned about her image; it’s because Peyton is in love with the younger woman and doesn’t want her fooling around on him. 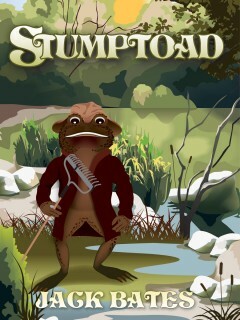 Stumptoad lives close to the Crusted Swamp outside of a nearby village. When strangers see him, they are frightened. He has visions of his kind from long ago but he has not seen any of his kind in the present and he is lonely. He spends much of his time raking leeches from the swamp. One day while at the swamp, a visitor stopped and asked him about Prince Tilbert of Hickling. Stumptoad pretends to be the prince and from that moment his life is changed forever.